It is third time lucky for the owners of Park West. 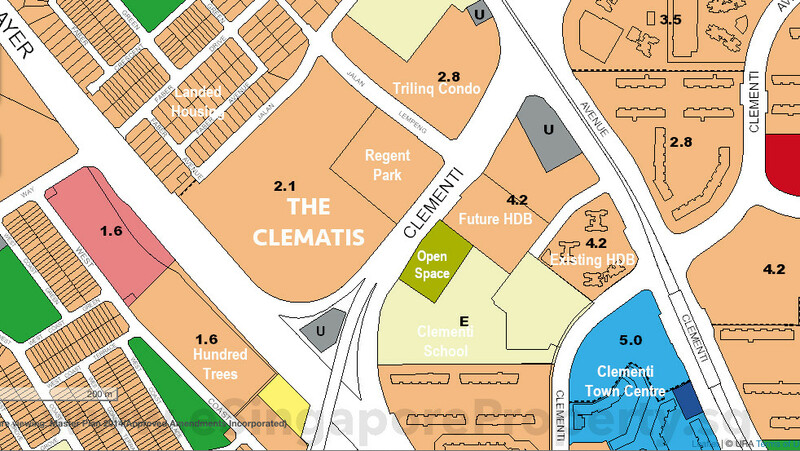 Developer SingHaiyi Group has snagged the residential site in Clementi for $840.9 million amid the ongoing collective-sale fever. Park West is located in Jalan Lempeng, near the Clementi MRT station. It is being acquired by Sing-Haiyi Gold, a 50-50 joint venture between SingHaiyi's wholly owned subsidiary SingHaiyi Land and Haiyi Wealth, an entity controlled by Mr Gordon Tang and Ms Celine Tang, SingHaiyi said in a statement late yesterday. At $840.9 million, plus an estimated $290.6 million in differential premium and lease upgrading premium, the price tag works out to a land cost of $850 per sq ft per plot ratio. Mr Terence Lian, head of investment sales, Huttons Asia, said the regular-shaped plot of land offers good redevelopment opportunity given its strategic location. The land is near the one-north research and developmentpark and Singapore's second Central Business District at Jurong Lake. The deal comes as the property developer in December moved to raise some $143 million for property investments through a rights issue. It proposed a renounceable non-underwritten rights issue of up to about 1.44 billion new shares at 10 cents each, to be issued on the basis of one rights share for every two existing shares. Majority shareholder Haiyi Holdings, which has a 56.17 per cent stake in SingHaiyi, has committed to subscribe for not only its pro-rata entitlement of 806 million rights shares, but also to mop up any rights shares that are not taken up. Shares of SingHaiyi closed at 11.5 cents yesterday, down 0.1 cent. PROPERTY firm SingHaiyi Group has snagged a S$841 million en bloc tender for a property in the west through its joint-venture (JV) firm amid ongoing collective sale fever. The property is known as Park West and located at 2-20 Jalan Lempeng, near Clementi MRT station. It is to be acquired by Sing-Haiyi Gold, a 50-50 joint venture between wholly-owned subsidiary SingHaiyi Land and Haiyi Wealth, an entity controlled by Gordon Tang and Celine Tang, it said on Thursday. The husband and wife duo are in turn the controlling shareholders and directors of the company through Haiyi Holdings. The property comprises a leasehold estate of 99 years commencing on March 8, 1982, with a land area of about 58,867 square metres with a plot ratio of 2.1. A press release from marketing agent Huttons Asia said the site can yield about 1.33 million square feet of gross floor area upon redevelopment. Huttons Asia said this successful transaction is the third attempt at a sale by the property owners. Terence Lian, head of investment sales at Huttons Asia, said the regular-shaped plot of land offers redevelopment opportunity given its strategic location. The land is near the One-North R&D Park and Singapore's second central business district at Jurong Lake. The JV firm intends to apply to the Singapore Land Authority for the grant of a fresh 99-year lease for the property, and to lift certain title restrictions. SingHaiyi said the latest acquisition gives them access to a land site within an established residential area, and allows the firm to expand its development portfolio in Singapore. The deal comes as the developer in December moved to raise some S$143 million for property investments through a rights issue. It proposed a renounceable non-underwritten rights issue of up to about 1.44 billion new shares at S$0.10 each, to be issued on the basis of one rights share for every two existing shares to shareholders. Majority shareholder Haiyi Holdings, which has a 56.17 per cent stake in SingHaiyi, committed to subscribe for not only its pro-rata entitlement of 806 million rights shares, but also to mop up more available rights shares. Shares of SingHaiyi closed on Thursday at S$0.115, down 0.1 Singapore cent.